Drivers and car partners of app-based taxi aggregators Uber and Ola in Mumbai have called for an indefinite strike to voice their grievances against declining earnings, deteriorating business experience and increasing concerns over driver suicides. The strike is scheduled to begin on 10 December, according to pamphlets being distributed among Uber and Ola drivers and car owners. VCCircle has a copy of the pamphlet and has verified its authenticity. The aggrieved parties have complained that the cab aggregators have been providing customers with attractive schemes, but have not given benefits to their driver partners. This, they claim, has resulted in a fall in earnings and have put them under financial stress. “As Ola and Uber partners, we will have to fight for our own rights because we are unable to fulfil the higher ride requirements (set by the cab aggregators),” read the pamphlet. About 50% of the cars operating in the city are at risk of being seized by banks and other financial institutions, as most drivers are not being able to service their debts, which may result in loans defaults, the pamphlet claimed. It further said that if the demands for better remuneration and improved working conditions are not met, the drivers will go on a hunger strike from 12 December before the respective Ola and Uber offices in Andheri. According to Samir Ingale, a partner leading the strike in Mumbai, a few drivers took their own lives recently. For instance, Deepak Chaurasia, an Uber driver operating in Navi Mumbai, hanged himself two months ago after failing to pay the equated monthly instalment of his auto loan. Similarly, two others, Ramprasad Kanojia and Deepak Palande, also took their own lives due to the financial stress, said Ingale, adding that most driver partners are not being able to break even or meet the expenses. Two driver partners also confirmed the suicides, but did not want to be named. 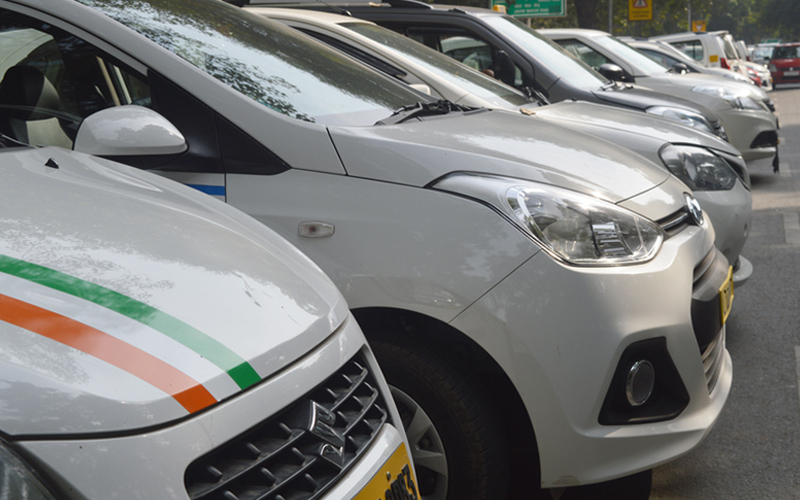 However, VCCircle could not independently verify the claims and whether the drivers were working with the cab aggregators. Email queries to both Ola and Uber remained unanswered till the time of publishing this report. Both Ola and Uber have been struggling to contain rising unrests, while drivers have claimed that the companies have largely been apathetic to their concerns. There were several instance of driver protests across many states and cities, including Bengaluru, Mysore, Kochi, Hyderabad, Mumbai, Guwahati and Delhi-NCR, over the past two years. The protests were mostly organised by driver unions and associations. The drivers alleged that their incomes have reduced drastically with the taxi-hailing firms continuing to acquire more cabs, while restructuring the incentive schemes. “Our demands should be fulfilled because our earnings have dropped. Their commitment of Rs 75,000 per month in earnings proved to be fake. We are earning Rs 10,000-15,000. I cannot even pay my EMIs. They should immediately stop getting cars,” a driver was quoted by ANI during a protest earlier this year in Hyderbad. According to a report by research and advisory firm RedSeer Consulting, Ola and Uber are marching towards sustainability as they have been able to cut down on costs and bring down driver incentives significantly. The report, which analysed trends in the Indian consumer internet market, said the incentive structure of cab aggregators fell from 75% of gross booking value in March 2016 to 25% in June 2017. RedSeer said that even with a considerable reduction in incentives, the monthly take-home income of drivers (after EMI and other related expenses) was about Rs 18,000, which it claimed was about 50% higher than what they would earn in the offline taxi space.